Home » Blog » Garfield’s Birthday Extravaganza! Our favorite orange tabby turns 38 this June 19 and does he have a lot in store for you! Be on the lookout as we celebrate his birthday month with gifts and surprises. If there is a time for this bad-tempered, lazy, Monday-hating kitty to be at his adorable, lasagna-loving best, it’s during his special day. 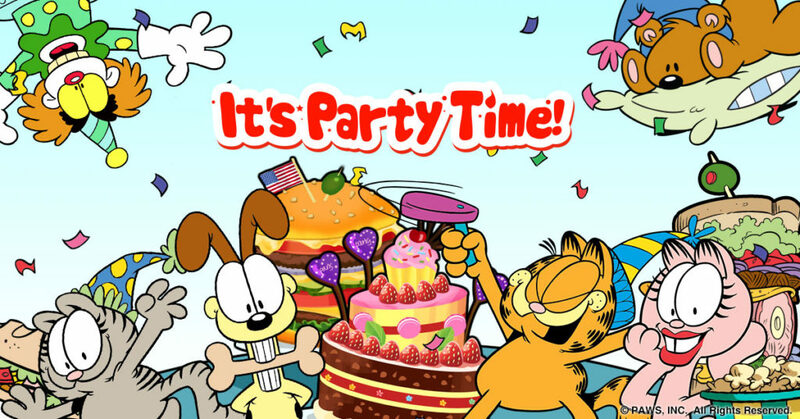 Now, we won’t be spoiling anything for you guys, but just so you know, it does involve a lot of your favorite Garfield games and apps. You definitely don’t wanna miss out! Spread the word, and have a huge birthday shout out ready for Garfield!